Liz Davies is a barrister and member of the Labour Party. She can advise members and supporters on what to do if they do not receive ballot papers for the Labour leadership election or are informed that they are prevented from voting. Her advice is based on the Labour Party Rulebook 2016, the recommendations in the Chakrabarti report and the published Procedural Guidelines. The advice is freely available to any members and supporters of the Labour Party. A note of caution: advice as to the interpretation of rules cannot be considered to be definitive. When should I expect to receive a ballot? If you are a full member who joined before 12 January 2016, you should receive an email allowing you to vote online on or soon after Monday 22 August, with a postal ballot paper arriving between 26 August and 3 September. If you are a registered or affiliated supporter, your email allowing you to vote online should arrive in the seven days starting Wednesday 24 August. I paid £25 to vote in the leadership contest. Can I still vote after the result of the court case? Yes. The judgment in the Court of Appeal did not affect the status of current registered supporters. I haven’t had any contact from the Labour Party since I signed up to vote – should I be concerned? You should have received an email confirming your registered supporter status. 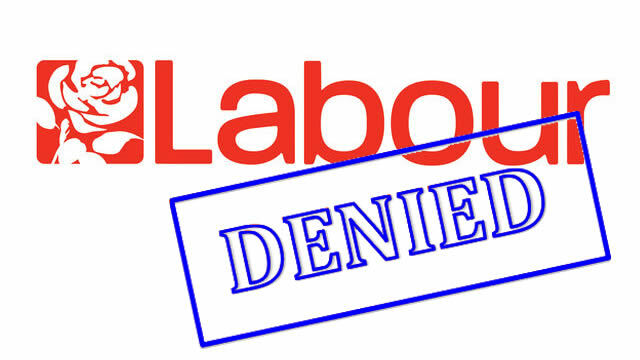 If this is not the case please contact the Labour Party on 0345 092 2299. Some people are now being sent emails telling them that they are not being allowed a vote. If you received such an email, please fill in the contact form below. How can I find out if I’m definitely eligible to vote? I think I might have been excluded from voting – how can I get an answer from Labour? If you joined as an individual member on or after 12 January 2016, and you have not also joined as a registered supporter, you will not have a vote. Otherwise, contact the Labour Party on 0345 092 2299. Can I appeal if I think my vote has been taken away? Members have a right to appeal, which should be explained in the email from the Labour Party that has taken away your vote. Registered supporters unfortunately do not have a right to appeal. Link to website where you can fill in a form if further questions. This entry was posted in Blog, Legal, The Purged and tagged in iain mcnicol, jeremy corbyn, john mc'donnell, labour party, liz davies, purge, vote.